Transporters can help to track and manage the payments owed to drivers and suppliers as part of your normal booking flow. When you click the assign button to add your driver on a confirmed order you can optionally set the price that the driver is due to be paid. 2 - Record the invoice against the driver/supplier once received. When you receive an invoice or are due to pay for the outstanding jobs, search for and open the driver or suppliers page. 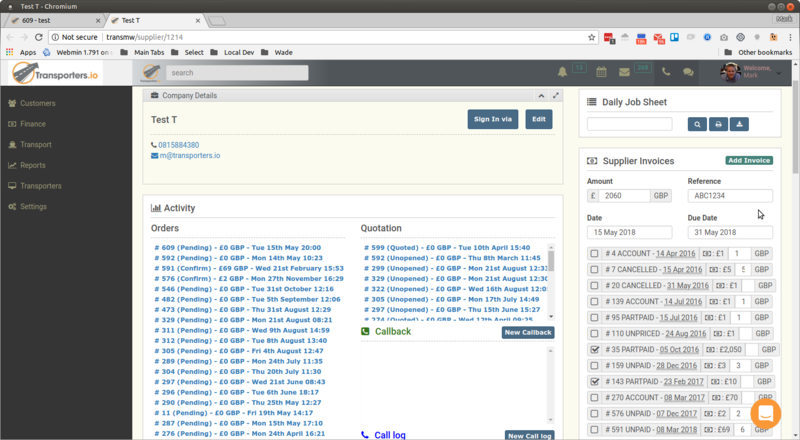 In the right hand column will be Supplier invoices box, click the add Invoice button. This will allow you to enter the invoice date, due date, external invoice reference number and select which un-invoiced orders should be included. Tick the boxes next to the appropriate orders and the total will be calculated automatically. Click add invoice and the invoice will be created. 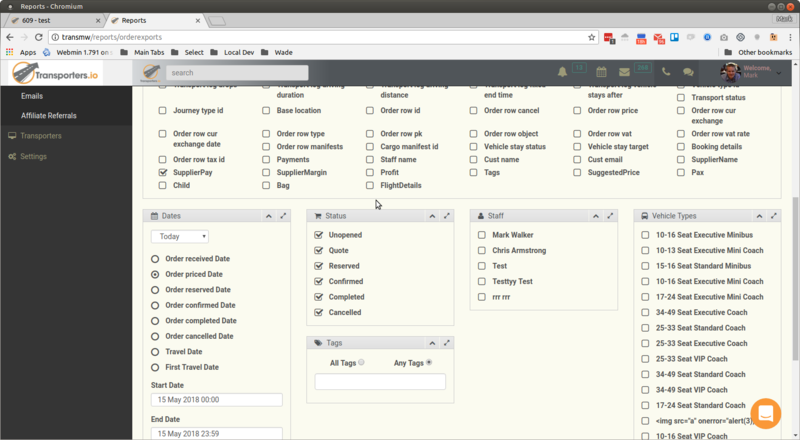 When you pay the driver invoice simply return to the driver or suppliers page within Transporters. Find the relevant invoice and hit the payment icon within the row. 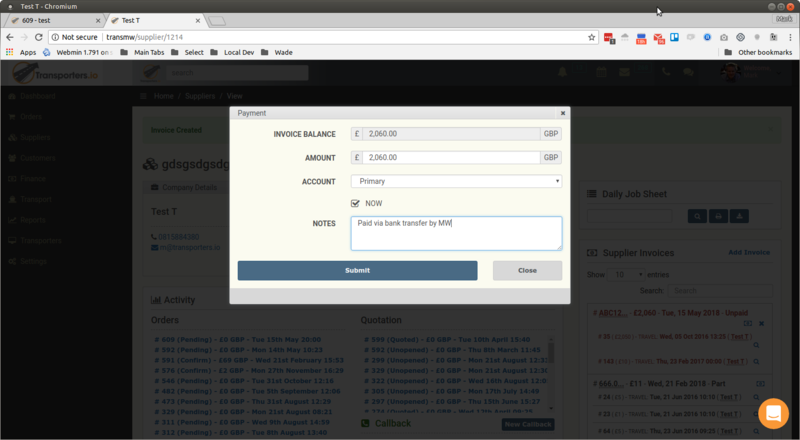 Enter payment details and hit submit, the invoice will now be marked as paid. 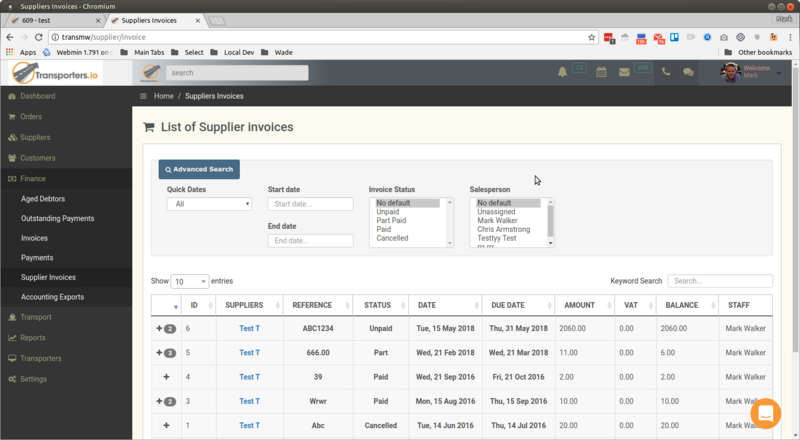 You can search and view all Supplier Invoices using the link under the Finance menu.